When your team engages with your customers and your partners, your corporate image is at stake. With ftopia, keep your brand front and center. Each project of yours can display its own visual identity, from the workspace header to Web pages for public download. Use your logos. Use your colors. Use your pictures. Make user experience interesting and relevant. Files of any size or type can be organized in ftopia’s online data rooms and quickly accessed at any time from any location with an Internet connection. Authorized team members can upload, access, and update files and easily manage document revisions. Rooms can also be marked public for open access or protected by a single password. 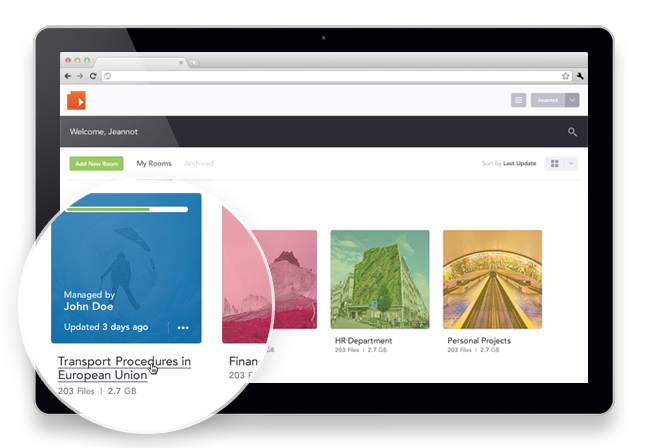 ftopia makes it easy to maintain a smooth, yet secure flow of information for your projects. The contents of your rooms are only available to the individuals and groups to whom you grant access. You determine user level access within each folder. You can even assign ‘view-only’ rights enabling users the ability to view but not download documents. Whether it’s team members who only need to work on specific files, or third-party guests such as customers, you are in control. 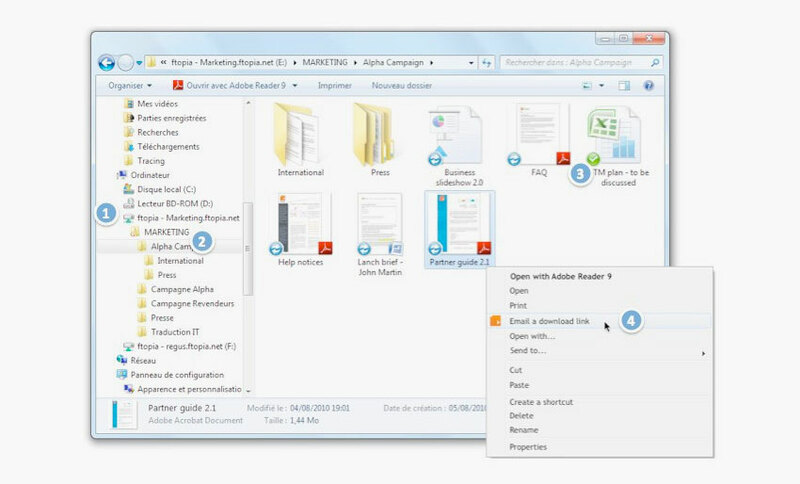 There are many types of files that businesses create and circulate every day. From small to large, and from simple to complex, ftopia provides easy access and convenient viewing options for all of them. 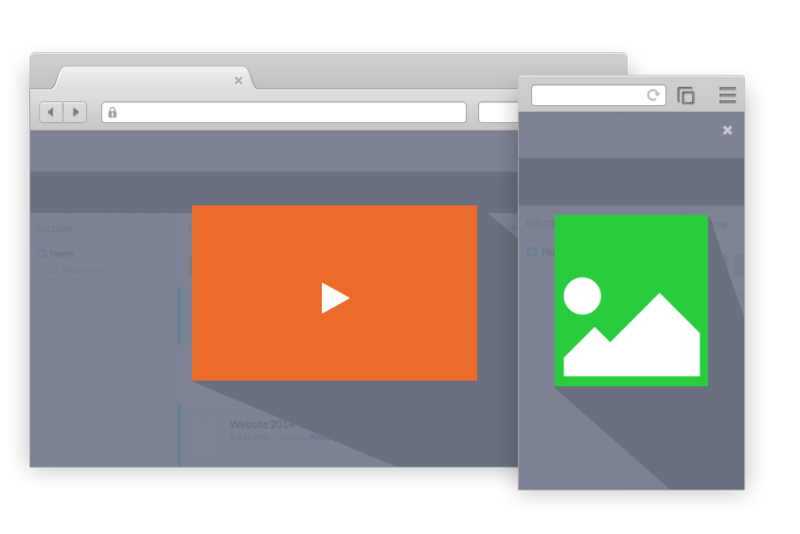 Videos, graphics, Office documents… if you’ve got it, ftopia can open it – from any Internet device! Collaborating around files requires more than just storing them in the cloud. 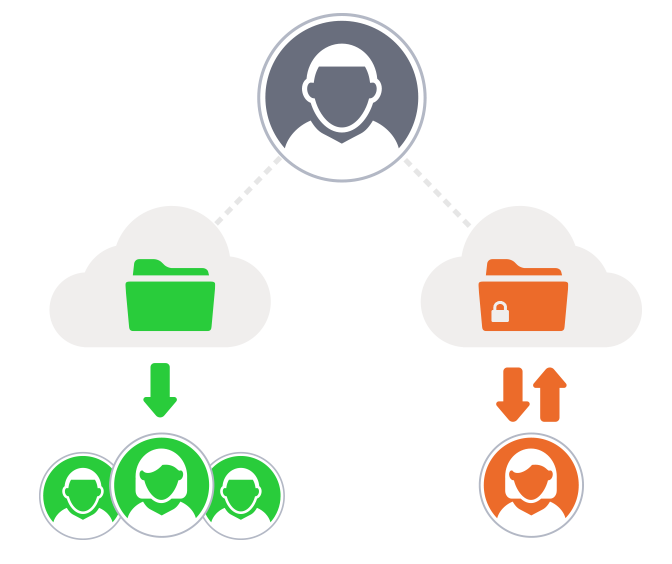 What if your computer could function as a file server that works outside firewalls and enables document sharing right from its local folders? With ftopia’s folder sync feature it can! Files from folders mapped to ftopia data rooms can be worked on without having to manually synchronize them. They can be dragged and dropped and edited within their usual applications, even when not connected to the Internet. Upon account login, modified documents are automatically updated in data rooms and replicated for all room members. And as a user you can decide which are the folders that you want to keep in sync and which are those that you access only through the Web. You need detailed reports on all activity that takes place as your project proceeds – ftopia’s got it covered. 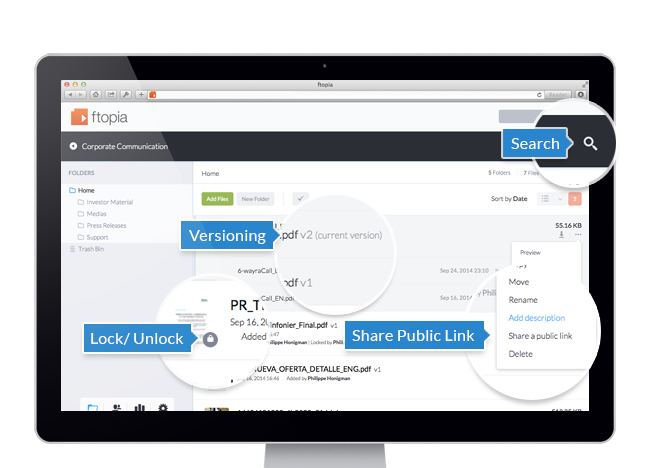 Unlike other online file sharing solutions designed for individual consumer use, ftopia was created with businesses like yours in mind. 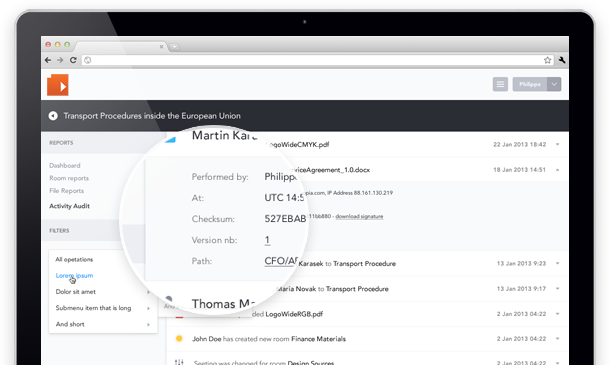 Activity reports allow you to easily monitor user invitations, document updates, public sharing, and much more. ftopia’s powerful tracking services make it possible for you to understand exactly how your data rooms are being used so you can better manage the flow of your information.